Royal Caribbean Cruises Ltd. is “decidedly bullish” on the future as its new Quantum-class ships are generating higher occupancies and pricing compared to the Oasis-class ships at the same pre-launch point. Plus, the company wants to be the No. 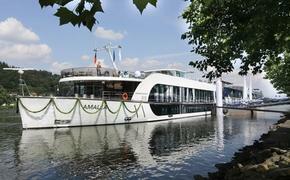 1 cruise company in China. These are some highlights of a research note written by Wells Fargo senior analyst Timothy Conder after a series of investor meetings with Royal Caribbean executives May 28-29. “Management has a high degree of confidence in 2014 guidance as RCL’s 2014 Caribbean net yields are ‘flattish,’ while Europe and China post double digit gains,” Conder wrote. The response to the Quantum-class ships — Quantum of the Seas is due out in November and Anthem of the Seas in April 2015 — is no doubt heartening to Royal Caribbean executives. 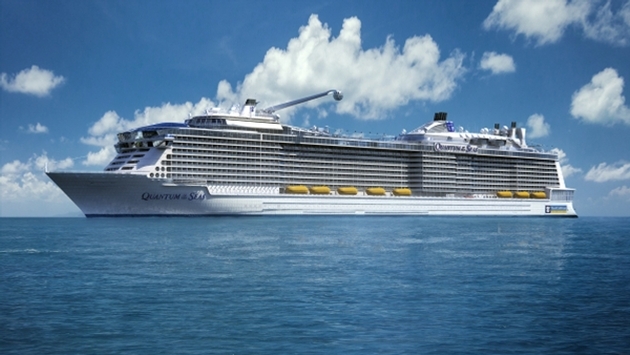 Although smaller, the new ships have flashy new features that generate consumer excitement exceeding that of the 5,400-passenger Oasis of the Seas and Allure of the Seas, the world’s two largest cruise ships that have generated premium fares since their introductions in 2009 and 2010. That’s why it was somewhat surprising that the company decided to move Quantum of the Seas to Shanghai, China, in May 2015, after operating just six months from Cape Liberty Cruise Port in Bayonne, N.J. At the same time, the company announced plans to fill the vacancy at Bayonne with sister ship Anthem of the Seas in November 2015, cancelling previous plans to base it in Fort Lauderdale. And so that better explains the decision to move the eye-catching new ships to China. Some experts believe the Chinese middle-class will exceed a half-billion people by the next decade. Carnival Corp. also is aggressively expanding in the China market. The capacity for Royal Caribbean brands will grow by about 3-5 percent per year through 2019 — what the company called “disciplined innovative capacity growth” — and is about the same as rival Carnival Corp. brands. Conder also wrote that the market for older ships is “beginning to improve as lenders are more willing to finance,” which means Royal Caribbean could become “more aggressive” about disposing of aging tonnage.